tailoring time during peak seasons. selecting materials in the color you requested and cutting fabric based on your measurements. to order carefully. For full details, see our Return and Cancelation Policy . email on the page, in case others who have bought the dress want to reply with pictures. 4. How can I make sure I’m ordering the right size? ensure the final product reaches you perfectly tailored. Be sure to check out our measuring guide . 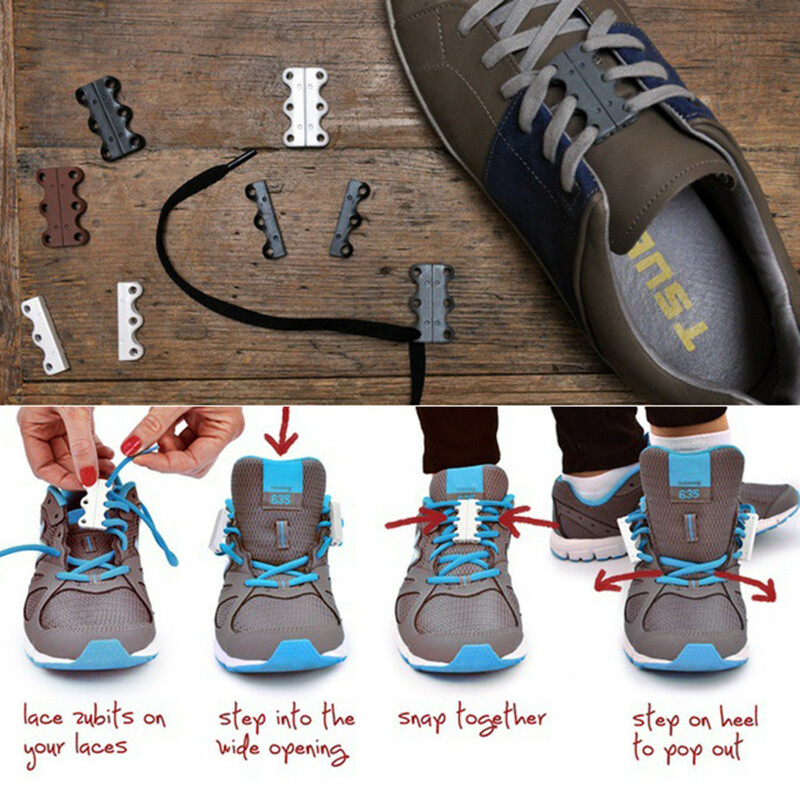 questions about ordering the right size, don’t hesitate to contact us . 5. Can you customize the size of my dress? 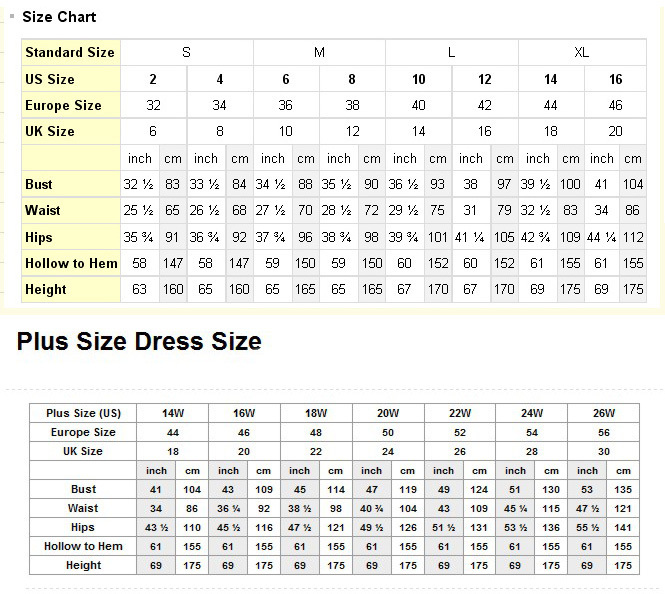 Absolutely – if our standard sizes don\'t work for you, we can make you a custom sized dress. measurement from the fullest part of your chest, not your bra size! 6. Will I be able to alter my dress if I receive it and it doesn’t fit exactly right? may limit ability to let a dress out. only collect a hollow to the floor measurement? 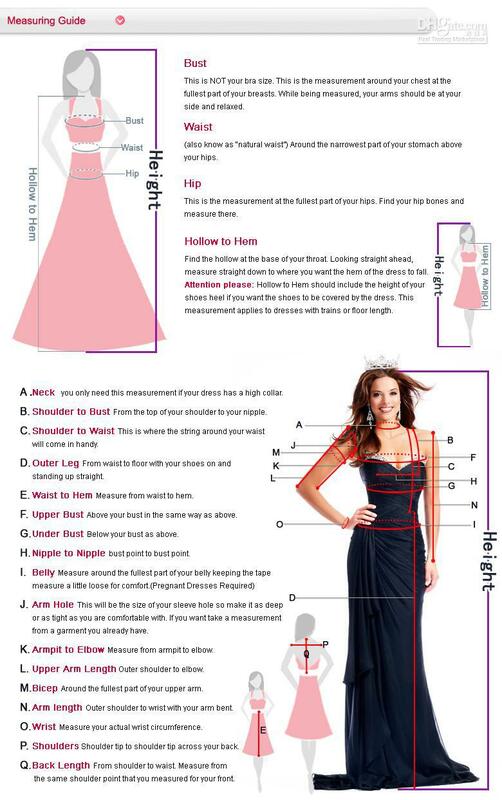 correct length according to the dress design. 8. Will my dress exactly match the color I see on your website? photo depending on your computer monitor’s display settings. 9. What kind of fabric do you use on the dresses? flowing; popular for skirts, sleeves, backs, and overlays. 10. How can I be sure what the fabric will look like in person? 11. What kind of zipper will my dress have? overall dress design in mind. start making your order on time. your money or do another one for you! we will solve this problem within 48 hours!